The editors of National Review are in a swivet (“Who Racializes Welfare Reform?”) about my suggestion (and that of MSNBC’s Chris Matthews and the New York Times’s Thomas Edsall) that Romney is playing the race card by using the welfare issue against Obama. 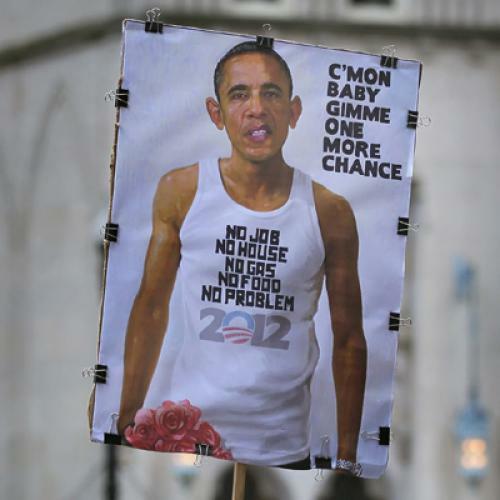 We’re the ones who are playing the race card, NR says, not Mitt. This is a difficult argument to make in light of Romney’s Aug. 27 comment to USA Today that Obama made his workfare waiver decision to “shore up his base.” (The idea that Obama’s “base” would consist of welfare recipients, is, in addition to being racially offensive, numerically preposterous.) NR acknowledges the difficulty of explaining away Romney’s “base” comment (a Romney aide stated, implausibly, that he was talking about liberals, not welfare recipients) by omitting any mention of it from its editorial. The ones who are always introducing race into political discussion, NR says, are Democrats, not Republicans. “Democrats’ proprietary attitude toward African-Americans is a disgrace,” thunders NR, and so is black America's reciprocal loyalty to the Democratic party. That “nine in ten black voters unfortunately reinforce [the bond] at every electoral opportunity” is, to NR, a baffling mystery. Allow me to play Sherlock Holmes. Back in the 1960s President Lyndon Johnson passed some civil rights laws that drove segregationist white southern Democrats into the Republican party. Johnson’s successor, Richard Nixon, did his best to encourage that exodus with his “Southern strategy,” and Ronald Reagan pushed it even further with outrageous talk about a heavily fictionalized “Chicago welfare queen” who racked up $150,000 in illegal benefits—the woman, an African American named Linda Taylor, was in fact jailed in 1977 for defrauding the government of $8,000—and by kicking off his 1980 general election campaign with a states-rights speech in Philadelphia, Miss. (where, a decade and a half earlier, Ku Klux Klan members expressed their heartfelt support for states’ rights by killing Andrew Goodman, James Chaney, and Michael Schwerner). Poppy Bush exploited the horrific crimes of Willie Horton in the 1988 election, and ... well, as I mentioned in the piece NR objects to (and as Jon Cohn subsequently elaborated), George W. Bush was, in this respect, a refreshing departure from the post-1964 Republican tradition. (Though not a complete departure, since it was under Dubya that Karl Rove started moving aggressively to disenfranchise likely Democratic voters, including African Americans.) All these actions—along with the GOP’s ongoing opposition to nearly every policy to assist poor people in general and blacks in particular—have tended to persuade America’s black population that the GOP is no longer the party of the Great Emancipator. As for welfare, why are we even talking about welfare in 2012? The 1996 welfare reform law introduced a work requirement—one I support, though I deeply regret that the federal government never created a federal jobs program to go with it, as advocated by my friend Mickey Kaus in The End Of Equality—and the rolls were drastically reduced. The caseload is now less than half what it was when the reform bill passed. NR claims that “President Obama’s economy is driving more Americans onto President Obama’s swelling welfare rolls,” but the real story here is that Temporary Assistance To Needy Families, the federal government’s main welfare program, has done almost nothing to address a post-2007 surge in poverty brought on not by government dependence but by the Great Recession and a post-2009 recovery during which the typical American household lost even more income than it did during the recession itself. Berate Obama for presiding over a lousy economy, if you like. But I don’t see the logic—well, the non-race-baiting logic—in focusing on idle welfare recipients when unemployment is above 8 percent and rising. It’s like worrying about obesity during a famine. You have to ask yourself why states’ rights, a sacred conservative principle when used to deny black people equal access to water fountains, is suddenly not-so-sacred when the issue is whether to cut states a little slack in getting black people off the dole. (Welfare recipients are disproportionately, though not majority, black.) Two of these states, it’s worth pointing out once more, have Republican governors. (Now that it’s become the central issue in Romney’s campaign, both are furiously attempting to backtrack.) The Republican paranoid fantasy, repeated by NR, is that Democrats want to keep poor people on welfare in order to make them feel dependent on government and therefore vote Democratic. If so, they’ve been doing a very poor job of it since the Democrat Bill Clinton signed welfare reform into law 16 years ago. The Democrats gave away more than half their “base”! If NR wants to demonstrate sincere support for African Americans and the poor generally, it should take the Republican party to task for a2012 platform that endorses requiring photo ID at the polls and bans elections by mail. The purpose of these and other crackdowns on a nonexistent epidemic of “voter fraud,” it’s beenrepeatedly stated by Republican participants themselves, is to chase African Americans and other Democratic voters away from the voting booth. Do Democrats poison black voters’ minds by telling them that Republicans have it in for them? They don’t have to. Republicans volunteer this information.